The main entrance is 2 miles from the Siquirres off the highway to Limon. 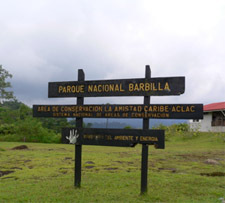 Follow a 10 mile dirt road to the town of Brisas de Pacuarito. Trails wind through the park and trail maps are available. However, it is strongly recommended that you use a local guide.